You are here: Home / Celebrity Video / VIDEO: Sabrina Carpenter Premieres “We’ll Be The Stars” Official Music Video! 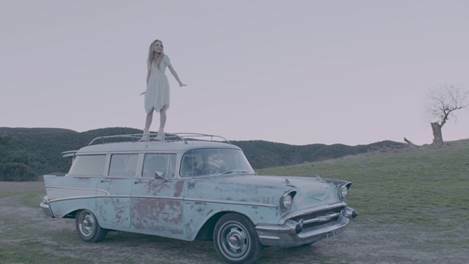 VIDEO: Sabrina Carpenter Premieres “We’ll Be The Stars” Official Music Video! Singer /songwriter Sabrina Carpenter, also known as her character Maya on Disney Channel’s Girl Meets World, premiered her new video for “We’ll Be The Stars” tonight, February 20th on Disney Channel! Directed by Sarah McColgan, the visually ethereal video captures Sabrina and friends (real life sister Sarah and good friend Fallon) spending a beautiful day together in a cinematic landscape. “We’ll Be The Stars” will be on Sabrina’s debut album due out this spring. Her EP, Can’t Blame A Girl for Trying is out now. « Photos: Hilary Duff Is All Smiles in West Hollywood!